Nice job this past weekend, Pete! When there is ice on the lakes, I never make employee of the month! 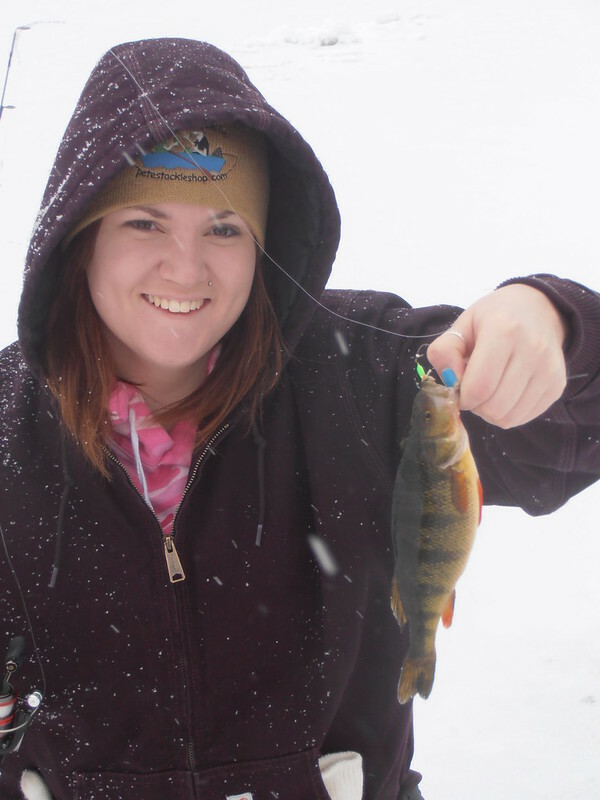 Thanks Bucket Brigaide 50% tackle 48% luck 2% skill I would love for more great competitors to join onto the Perch Assault tourney series it is a blast when you don't know if you will zero or place in the top ten and the folks that fish them are awesome. Hay folks Pete here come March 1st. 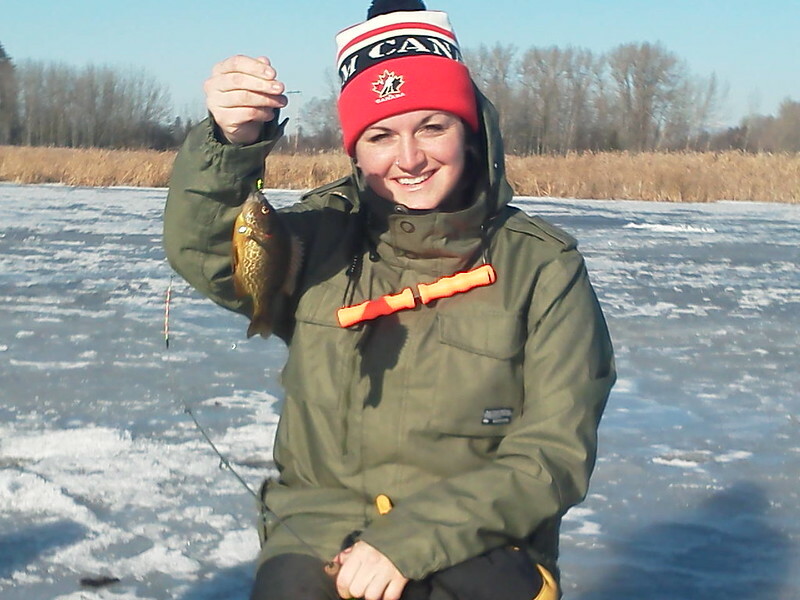 My daughter and I will be switching gears to summer Production the means Ice tackle will be made as needed so if you need some for summer for pan fish order now to our fast turnaround. 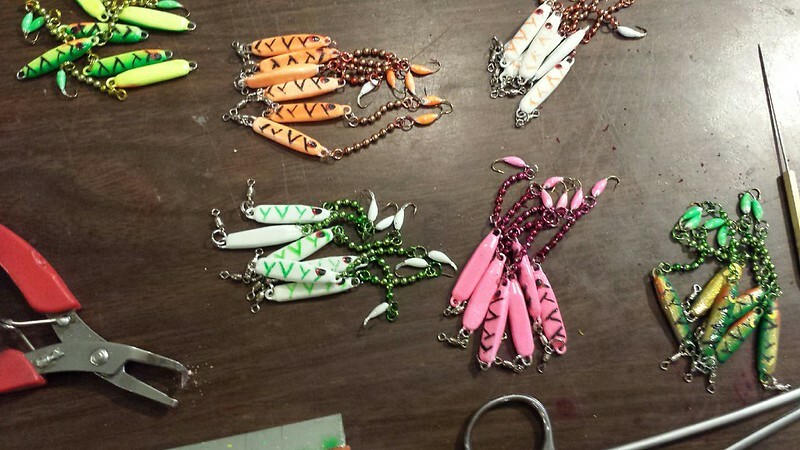 Now new this summer will be Senko style worms, Beaver tales, Drop shot worms, 3" & 4" Grub tails I will also be doing economy walleye jigs in some of the best colors out there and walleye spinners, Smile of deaths and my( Premium jigs asprin and walleye these are all Uv coated and come with a Mizuto Red sickle which are the sharpest hooks on the market and much more. ADD Pete's Tackle shop to your favorites. 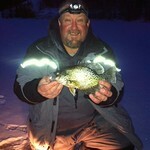 the lead maggot knocked the bows dead this week on the hard water, whether we deadsticked or jigged it! Snappys Snappy Sport Senter 14th annual Perch & Kokanee Derby and Family fun day on Lake Mary Ronan. I would like to say thanks to Mike and Meg of Lake Mary Ronan resort for host this event once again they came through with open arms and supported this fun event This is a no pay event and all prizes are donated buy vendors of Snappy Sport Senter Let give them a big thanks HT, Custom Jigs, Plum Creek Timber, Flathead Chapter of Walleyes Unlimited, Bj, Dave, and Chancy at Snappy Sport Senter, Zimmer Tackle andur Pete's Tackle Shop, and many more that donated. Thank you folks for helping Snappys Sport Senter make a memory. Remember take a kid fishing. and 1/4 oz. tail dancer I will be previewing them on this Forum November 1st. and on the 2nd I will put them on the Pete's Tackle Shop. Well folks I very excited to announce Sharon at the Silo's at Canyon ferry lake will be caring Pete's Tackle Shop ice tackle. Thank you all for your support! I found some of your lake trout jigs in Bob Wards, I was glad to find them there. Are they going to stock some of your ice tackle too? Tiptoe I talked to Jason the tackle Buyer and that is up in the air, but my foots is in the door. Hay if you folk want Pete's tackle in you local sport store hound the buyers and fishing departments. Well folk we here at Pete's Tackle Shop are so excited for this early, But we are always concerned for our customers safety. The reason for this Post was on Ice Shanty Montana, is that it looks like we lost some fishermen in Glacier Counties Mission lake. Ice safety 1, pics 2, through bag, spud bar and life vest. 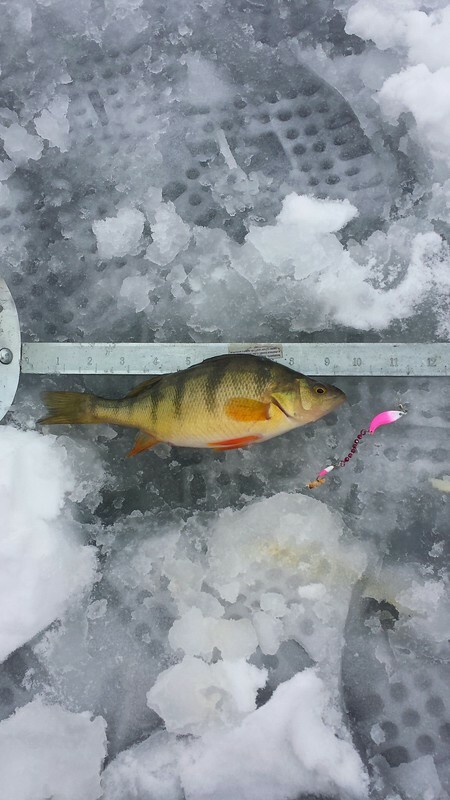 Last year we had a local walleye angler go through on late season ice on Four Horns lake in Glacier county. Folks lets be safe out there and not push our limits. 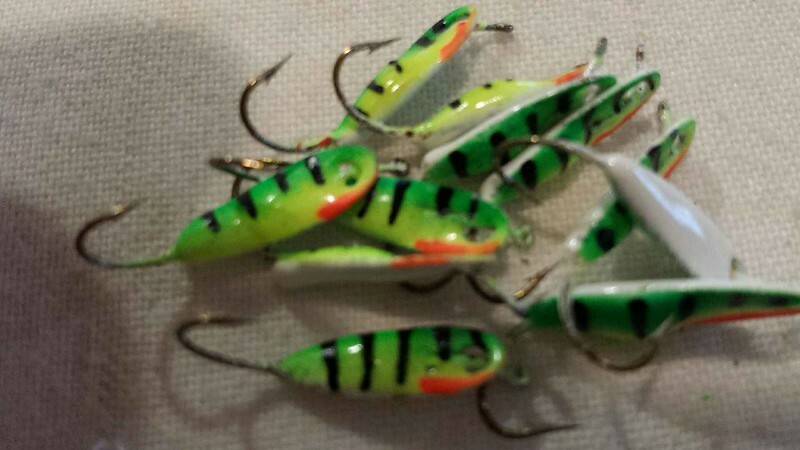 Pete's Tackle Shop has brought out three new jigs for this ice season. The Willow Minnow & the Tail Dancer & our newest one Pete's Slab Slayer These Jigs will soon be posted in my shop for you to order. We are working on Production so when you order they can be sent out the next week day. Coming Soon to my web store. Can't wait to try out a couple of your jigs this weekend at Smith! Used one of lures this weekend. lets just say I didn't leave skunked. Good stuff. 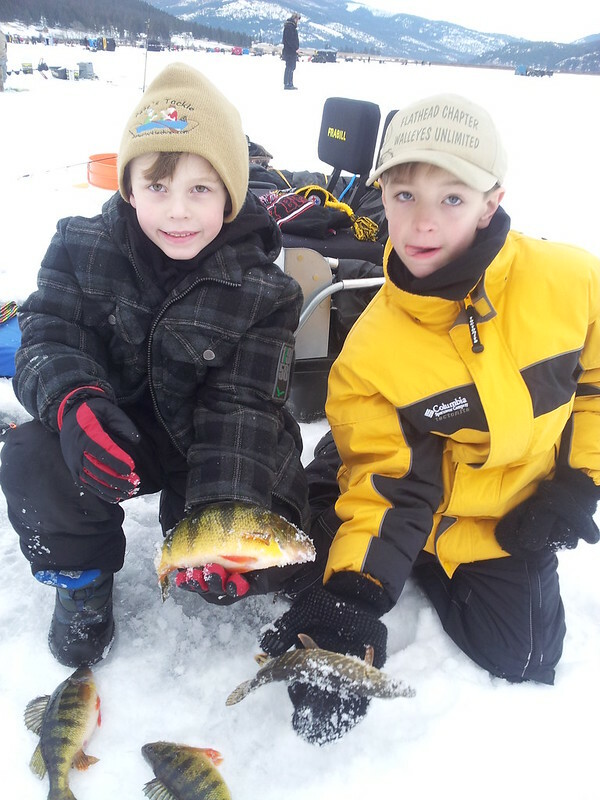 Petes Whiptails HAMMERED the perch this weekend at Nevada Creek Resevior!!! awesome stuff! Give a man a fish, and he'll eat for a day. Teach a man to fish, and he'll buy Pete's Tackle! is there a good selection of jigs at the silos? Keep ur knots tight and ur lines tighter! For sure if they haven't been picked through already we were in there this week n they still had a good selection. So good with my rod I make fish come! Sorry folk for not keeping up with the Pete's Tackle post. I do want to say you folk have really kept Pete to the grinding stone with orders and remaking stock to keep up I have had a few buddies volunteer there time to help me keep up. Do you sell any merch in stores in missoula? Or all online at this point? it would be nice get this stuff in helena is there a place? whiptail you have a PM. Hay folks if your looking for Pete's Tackle in Helana area Silo's at Canyon Ferry has a full selection there. Petes tackle helped my fishing partner and i take 7th place at the perch assault last weekend!! If you have not tried any of petes jigs out its truely your loss!!! Pete's Tackle has been providing fresh fish for my family for many years!!! Thanks buddy!!! I ordered some jigs from Pete's Tackle on Tuesday, and to my surprise they were in my mail box today! Talk about speedy service. I can't wait to try them out. Thanks a bunch!
" Catch N' Release "
Excellent product..........You'll love em' !! I turned a buddy on to your whiptails,his Dad called you and then bought Sharon out down at the silos. 1. I talked to Chuck and he was happy. Chuck said after tourny he would fill me in. 2. I would like to say thank you Ice Shantyans for supporting Pete's Tackle. 3. Pete's Tackle is excited to be introducing Tungsten jigs. 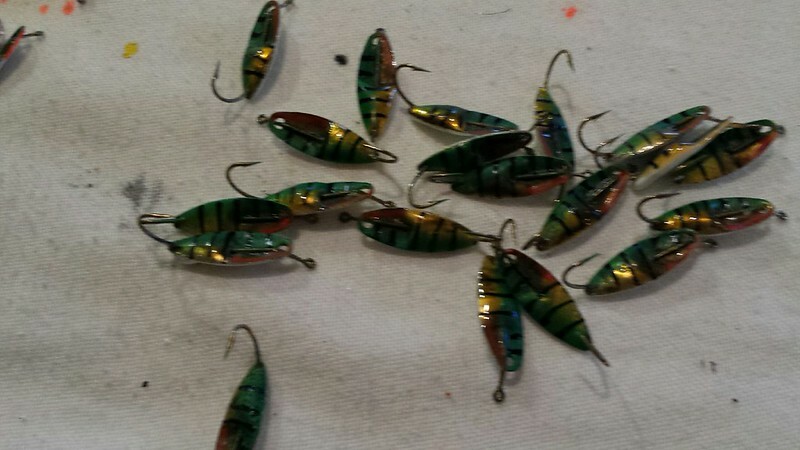 these jigs will be at Snappy's in Kalispell to finish out the 2015 Ice season. I will post Pics. on Ice Shanty and Face Book when they are here and read for sale and Prices. 4. Check out the latest blog introducing Pete's Tackle Pro Staff. Placed an order today, excited to see how the whip's work. Cant wait to try out the new tungsten jigs! Page created in 0.013 seconds with 25 queries.